The best thing about following a low carb diet is that it brings out the creativity in you, at least, in terms of cooking delicious recipes. Now that Christmas is coming, you are probably on the hunt for some inspiration in preparing the most delicious low carb Christmas dinner recipes to serve your loved ones! I’ve rounded up 18 low carb Christmas dinner recipes here for you that are not only nutritious but exceptionally delicious and suitable for a keto diet as well! To start with, here’s a mouthwatering appetizer from The Nourished Caveman. 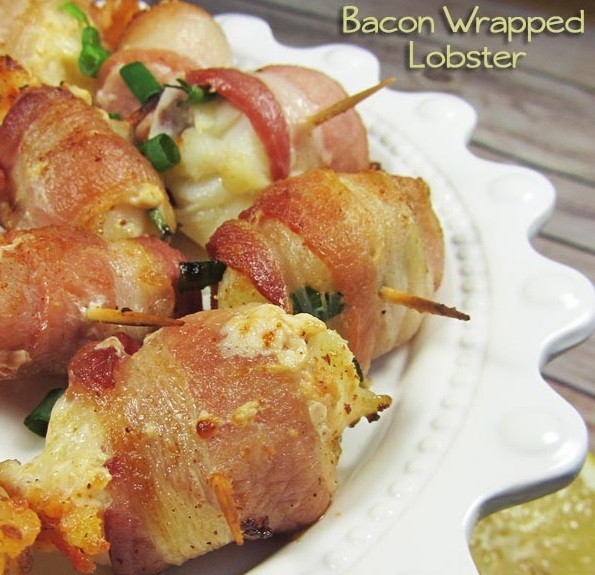 If you or your family loves both bacon and lobster (who doesn’t? ), then you have all the reason to love this delicious low carb appetizer. It has been made even more flavorful by adding a little bit of pepper flakes, paprika, and cayenne. 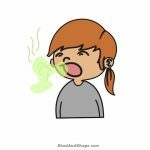 You can adjust these spices depending on your family’s tolerance to spicy foods. Cauliflower has been a staple in various low carb recipes since it only contains 2.97g of net carbs for every 100 grams. 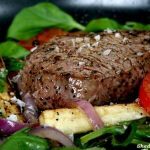 It’s also loaded with nutrients, which makes it a perfect ingredient for a healthy low carb recipe. 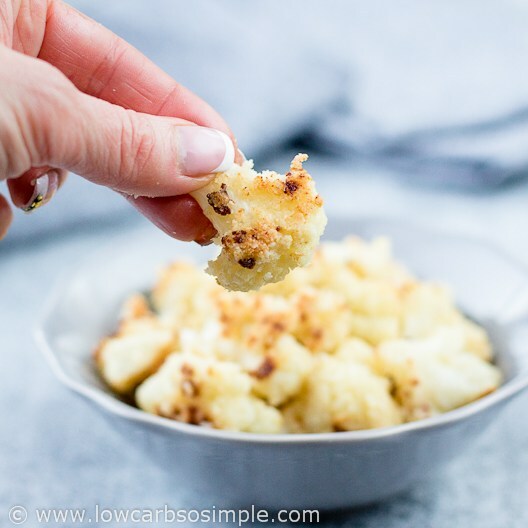 These nutritious Cauliflower Poppers from Elvira of Low Carb So Simple are guaranteed to impress your dinner guests. 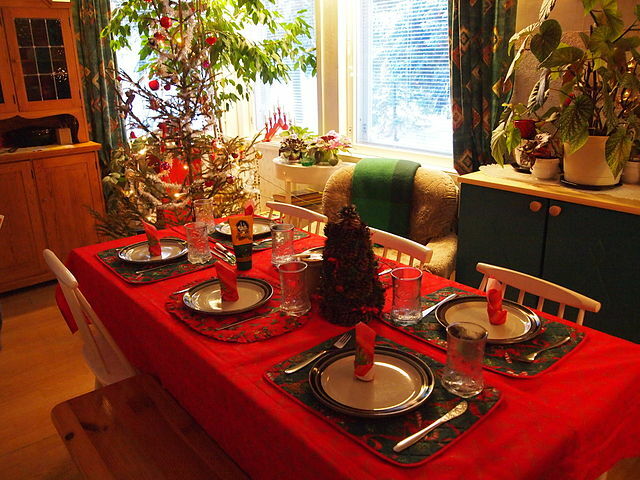 Preparing dinner for Christmas is not easy especially if you’re on your own. 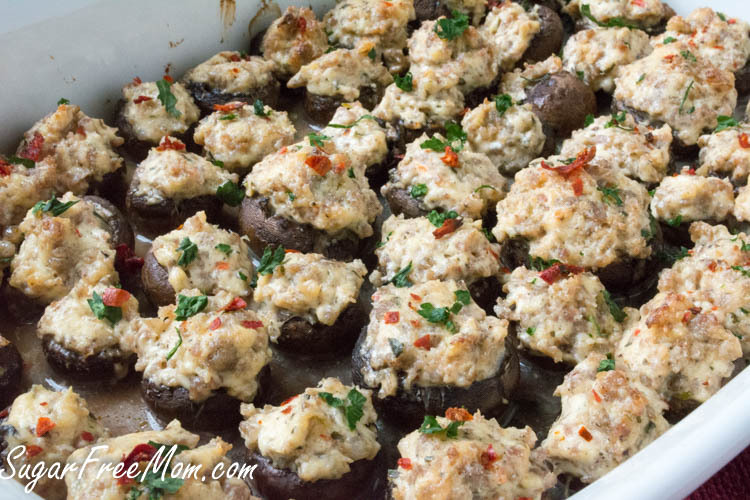 Therefore, when coming up with an appetizer, choose something that’s easy to prepare and will not take up a lot of your time, such as this delicious low carb cheesy spicy sausage stuffed mushrooms from Sugar Free Mom. You can also choose to make these appetizers a day before and reheat it in a baking pan before your Christmas dinner! If you’re serving soup for your Christmas dinner, you can go with this 4-ingredient Avocado Chipotle Soup from Low Carb So Simple. 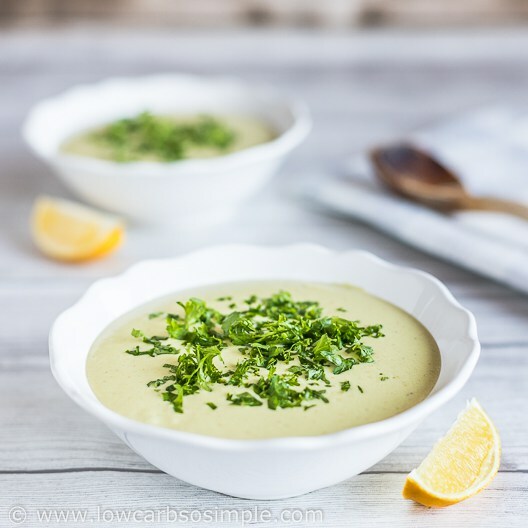 Also known as the Fat Bomb Soup, this delicious and nutritious soup is so easy to prepare and a great way to get lots of good fats into your keto diet. 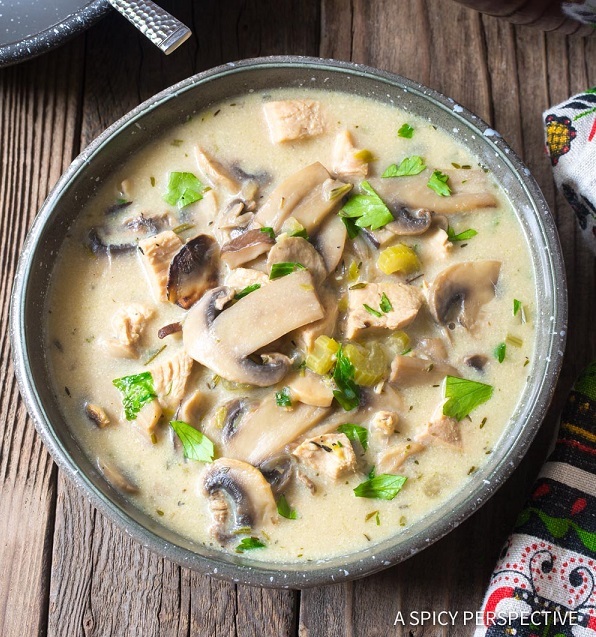 Another great option for a low carp soup recipe is this Creamy Chicken Mushroom Soup from A Spicy Perspective. Your dinner guests will surely love the creamy texture of this nutritious soup that’s packed with hearty chunks of protein in a silky broth. Now on to the mains! 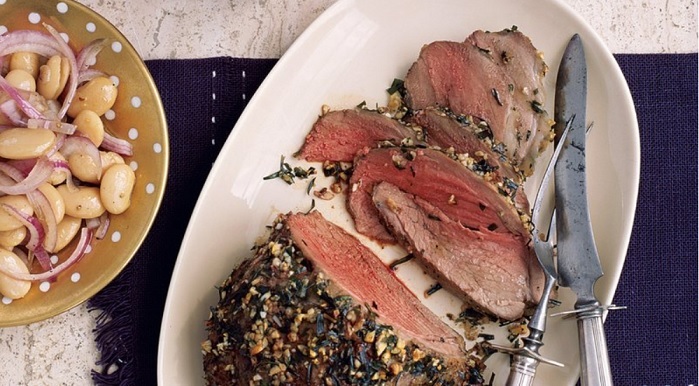 This Roasted Tarragon Lamb with Butter Beans from Real Simple will surely be a star on your Christmas dinner table! Sure, you can have other choices of meat for the main course but if you want your dinner to be the talk of the family, you’d better go with this perfectly roasted lamb! But, if you’re following a strictly low carb diet, it is best to skip the beans. 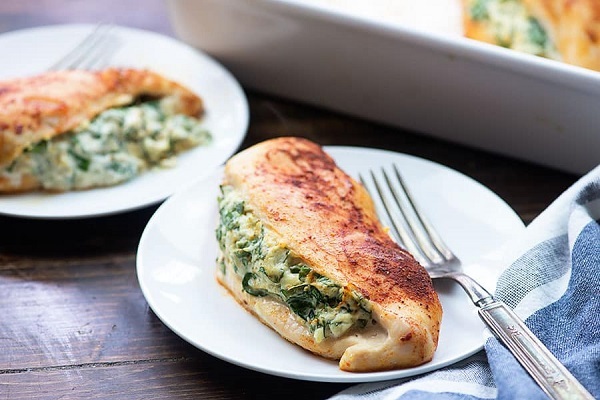 This delicious Spinach-stuffed Chicken Breast will surely become a favorite among your family and friends! From Karly Campbell at That Low Carb Life, this easy-to-prepare recipe simply requires stuffing skinless chicken breasts with spinach, along with cream cheese and some seasonings! Free range or organic chicken breasts are best of course. If you’re a big fan of the multi-Michelin starred chef Gordon Ramsay, then get inspired by this delicious Roast Turkey with lemon, parsley, and garlic from Good To Know. 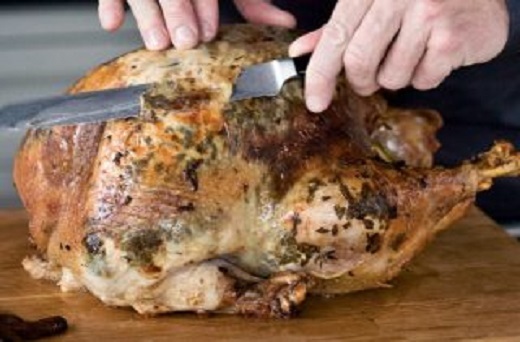 A savory butter was rubbed under the turkey skin to keep the meat even more flavorful. For a seasonal twist, you can swap the lemon with orange. Let’s face it, Christmas turkey is just not the same without stuffing is it? Traditional turkey stuffing is made with bread but of course if you want to stay low carb you can’t make it with bread. This stuffing or dressing from Mellissa Sevigny is made with mild sausage. 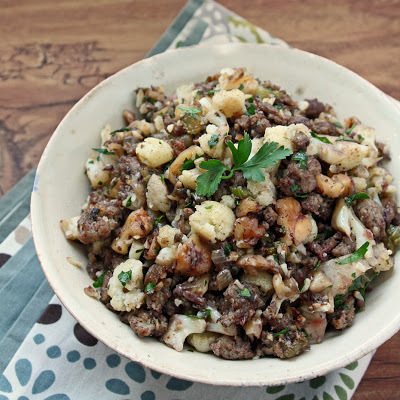 onion, celery, cauliflower, walnuts, wine and herbs. The cauliflower just soaks up all those flavors and it’s just so tasty. Do try it. You can slow cook this crock pot roast beef in the afternoon so it will be ready when Christmas Dinner comes. 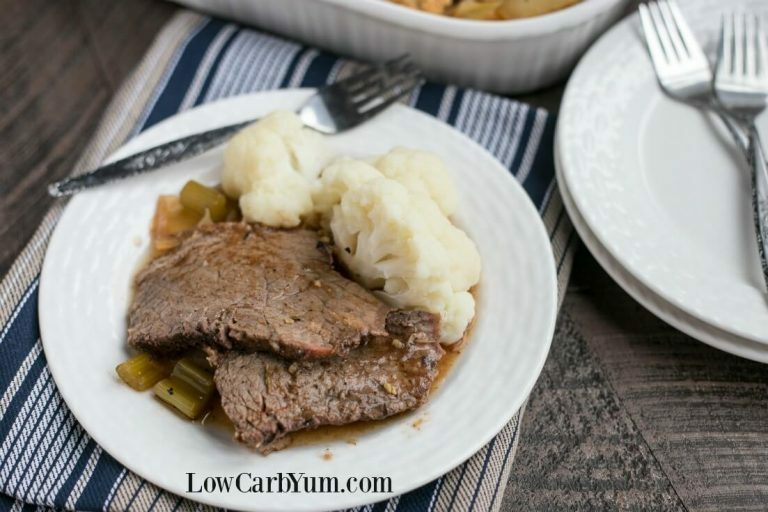 Made by Low Carb Yum, this dish is perfect with a side of steamed or mashed cauliflower. You can also choose to add other low carb vegetables of your choice! 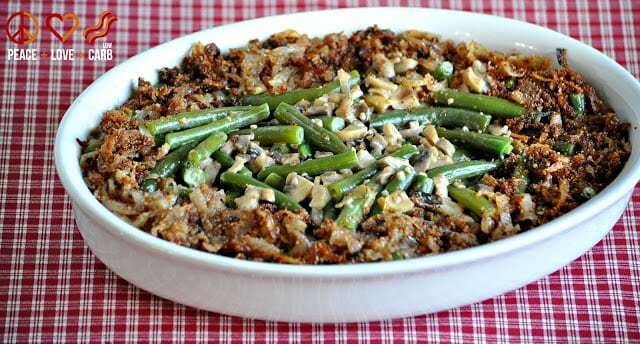 While green bean casserole is often associated with Thanksgiving it makes a perfect vegetable side for Christmas dinner as well. While green beans are lower in carbs than other types of beans they are not suitable for a strict keto diet. They are full of fiber and one cup of green beans contains only 6g net carbs. Cremini mushrooms and heavy cream are used in place of the traditional canned cream of mushroom soup. This recipe from Kyndra Holley is ideal at any time of the year. 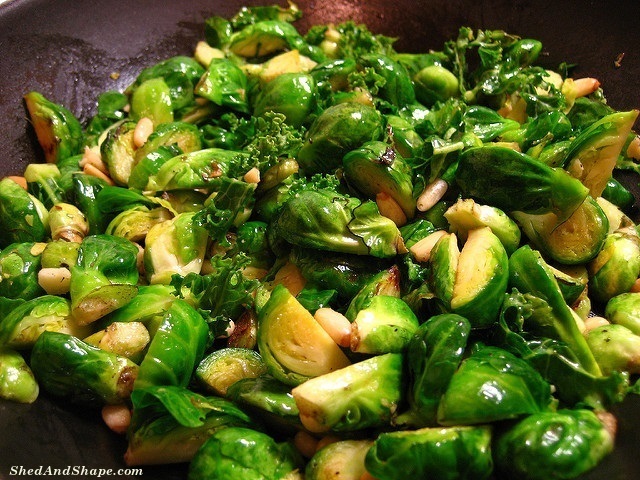 If your low carb Christmas dinner would not be the same without the traditional Brussels sprouts but others in your family don’t like them then try this recipe for spicy Brussels sprouts. It completely transforms them. You can adjust the spices to your liking. To cap off your dinner, make sure you serve delicious low carb desserts to your guests! 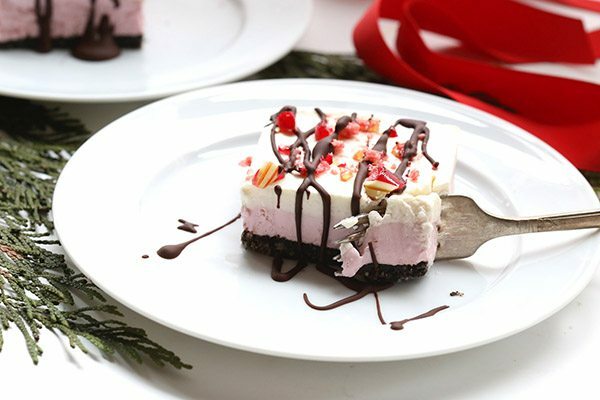 These low carb peppermint cheesecake bars by Carolyn Ketchum posted on The Sweet Life will surely be a crowd-pleaser on your Christmas dinner table. It’s easy to prepare and does not require any baking! Peppermint is so refreshing after any meal and good for the digestion if you’ve eaten a lot of delicious food. Since Christmas is also known as the Peppermint season, it just makes sense to have peppermint desserts on your dinner table. 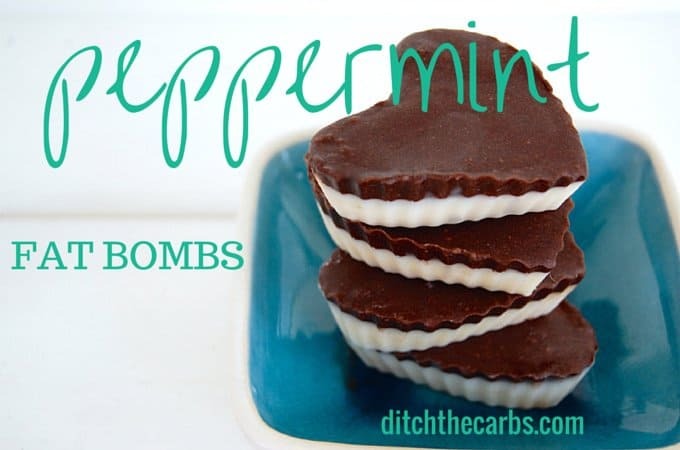 So here’s another delicious peppermint dessert recipe from Ditch The Carbs. These peppermint fat bombs will surely satisfy your guests’ sweet cravings without the sugar. 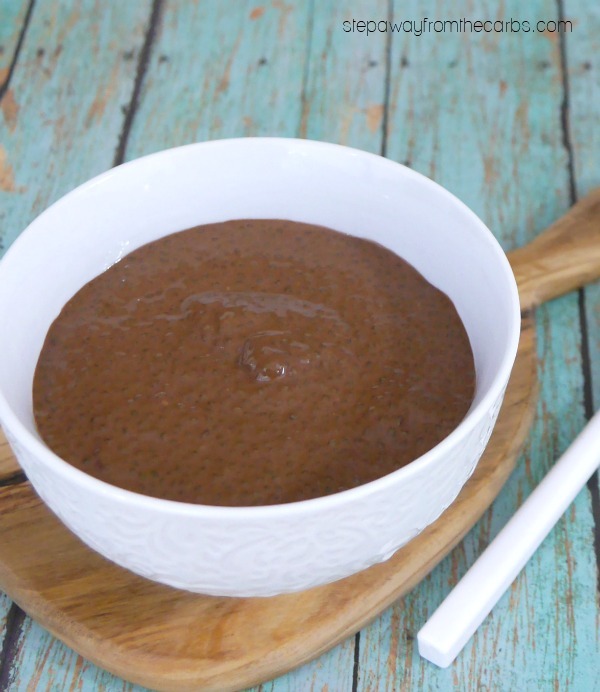 For chocolate lovers, this chocolate chia dessert from Step Away from the Carbs would be a great idea. 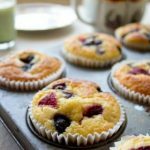 It’s sugar-free and absolutely low in carbs! You can also choose to add a small amount of peppermint or orange extracts to make this dessert even more satisfying. Wondering what the pie crust is made from? It’s a clever combination of peanut flour, protein powder and almond milk. The classic combination of chocolate and peanuts will make this delicious dessert a hit on your Christmas dinner table! 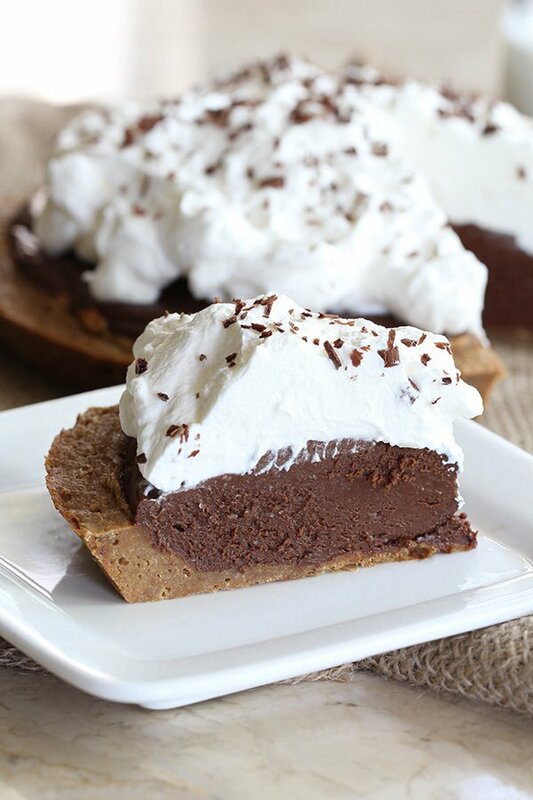 This dessert is from Tasteaholics and is naturally low in carbs! 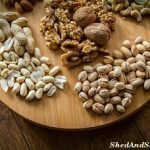 Peanut flour is, in fact, a fantastic ingredient for low carb recipes since it’s high in healthy fats, low in carbs, and contains a good amount of plant-based protein. You can also have some peppermint on your drinks too! 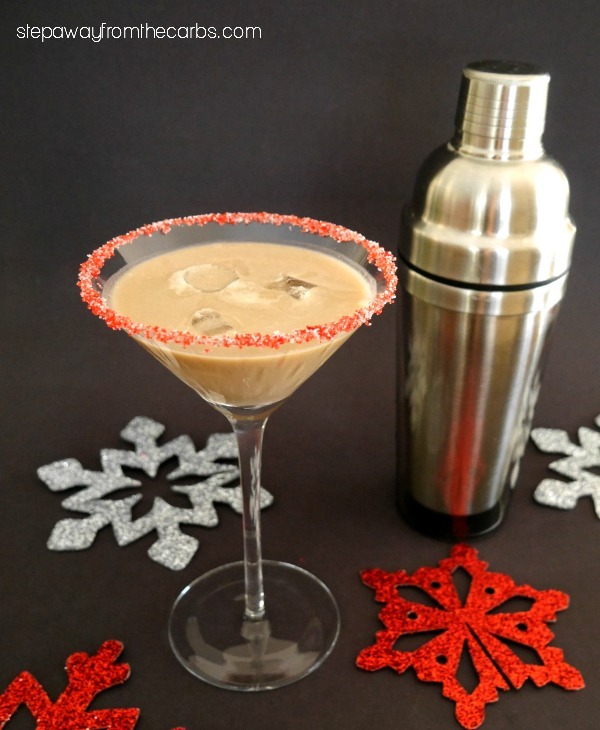 This low carb chocolate peppermint cocktail drink from Stay Away from the Carbs will surely be a big hit to your chocolate lover guests! The best thing about this cocktail recipe is that it is so easy to prepare! Check out what other alcoholic drinks are low carb here. If you want to serve your guests a low carb drink before dinner then why not give them some sugar free, low carb margaritas? Sure, you can definitely enjoy some booze without the carbs this Christmas. For instance, this sugar-free margarita from Maya at Wholesome Yum contains less than 1gram net carbs. 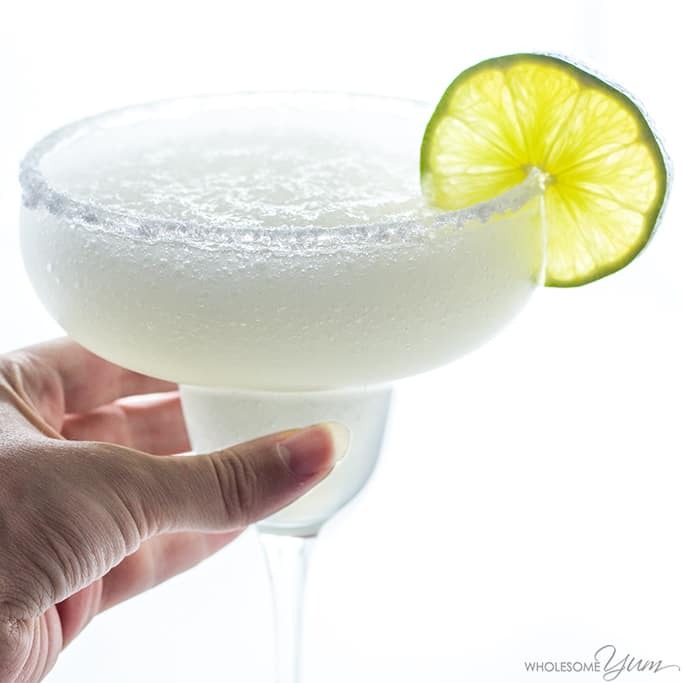 Margaritas you get in bars and restaurants often contain as many as 24 grams! This Margarita is quickly made with only five ingredients including some lime juice, orange extract and stevia. You can serve this cocktail drink straight up or with a crushed ice. 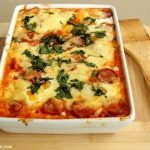 So you see it’s not really difficult to stay low carb with these low carb Christmas dinner recipes and you’ll feel so much better the next day too. Who wants another carb hangover?